Dona Rosa started off for Beijing from Lisbon on April 14th. She and her musicians arrived in China early on the morning after. A few hours rest, and then in the evening we were invited by our agent to a famous Beijing Duck Restaurant. Various high-ranking government officials over the last 50 years have dined there. For the few practiced chopstick users among us, naturally there was western cutlery. Along with the duck, which was cut up at the table and served in pockets of dough, there were so many other various dishes that they all scarcely fit on the table! Beer or tea, as one preferred, were our drinks. As wonderful as the duck tasted, Dona Rosa preferred even more the warmth of the people. 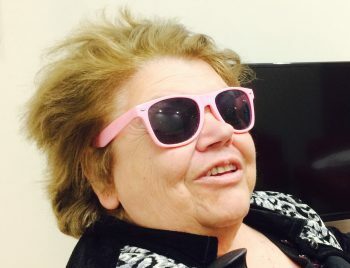 The small, blind woman from Europe drew many away from whatever they were doing, who unabashedly stopped and stared at Dona Rosa, at first not knowing she was blind. 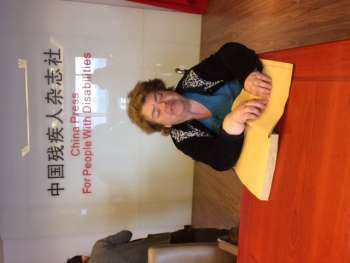 We only saw blind or disabled people only two times in our 18 days in China. Both times they were musicians. It seemed impossible for disabled people to even go out in the streets alone. Traffic rules are completely disregarded. Bicycles, Autos, and Mopeds travel on the wrong side of the street, cut off the oncoming traffic, etc. evidently without rules and with very little regard. That we didn’t have or see an accident, borders on a miracle. The second day, our first concert in Tianqiao Art Center, a gigantic concert and arts center with three halls, in the area of the Temple of Heaven. We were in the middle hall the guests, and in the evening 700 listeners showed up. Before the Beijing concert, there was an interview marathon, and astoundingly, there were reporters who spoke Portuguese. The concert was promoted as “Fado from Lisbon”, which of course was not quite correct. Our agent had seen Dona Rosa last year in Taiwan, and was impressed with her art of singing impressed. Someone probably heard the word “Fado” somewhere, and it sounded good.. In this classical concerthall it was difficult to perceive the reaction of the crowd. Was this nothing more than polite applause? I had a similar experience in Japan. We were unsure how the Chinese received our concert. Note: A great number of people crowded around, though strictly according to various rules; a mass of workers, who never would have been so allowed in a classical concert hall. Nevertheless, everything had been well prepared. From several videos a 3 minute film was edited together, which ran in an endless loop from admission up to the beginning of the concert, (everything with Chinese subtitles). An enormous screen, perhaps 65×32 feet did indeed impress us. Two small display panels left and right of the stage faded the songtexts in and out and during the concert gave explanations in Chinese. In the second part of the evening, they projected 20 photos from the book “Lisboa – Past and Present” on the giant screen and with that delivered a powerful, dramatic stageview. At the end of the concert Dona Rosa was quickly wheeled in her chair to the foyer and along with her accompanists signed CDs and photobooks. The line was about 160 feet long, and it took nearly an hour before all the photo and autograph wishes could be filled. A total success! We hadn’t reckoned with that. The public was moved, and asked immediately when she would be back. A wonderful kickoff to our China tour. A Beijing concert is not only difficult for the artist, nut also for the local agent. The central powers are nearby. Everything is controlled. The official watchers are also present in the hall, naturally anonymous. They follow the texts, and see that the pieces played are those same ones, or if any pieces are played which were not pre-registered, if there are any political statements, or anything else noteworthy. Before the trip to China we had to submit the exact program with all texts, and the Ministry of Culture would determine from that if one would be invited or denied. In conversation with some artists and agents we found out that sometimes concerts are cancelled less than 24 hours ahead of time by the Ministry of Culture without reason or further details being made known. The closer to Beijing one is, the stricter the controls, and especially there, in the nexus of state power; the capital. We survived all the tests and conquered the hearts of the listeners. There is no regular concert scene in China. A club scene and local houses with 400 – 500 people capacity is nonexistant. Underground concerts do take place, but even most of them occur under official sanction. That is why there are hardly any concerts on weekends. So we had a few days off, after the initial show, which we used for sight-seeing. as the home of “Rare Earth” ( and there was a band in the 70’s named “Rare Earth”). Every cell phone, every flatscreen functions only because of rare earth. Therefore the central regime wants to build the city up. It’s a city planned on the drawing board, until now without any connected neighborhoods, only various centers, each with 23 to 30 piles of 25 to 35 – story high rises. Then several miles of nothing, and again a group of high rises, with 3 or 4 – lane connecting them. There’s a brand new airport, a new stadium, sports hall, and the grand theater. In photographs and on the street, one still senses a nomad culture – individual yurts dotting the landscape and the parks. Naturally, the music of Portugal is even more alien here than in Beijing. Therefore it was astounding to have 400 visitors, and with similar reactions to those in the capital. The next day we went back to Beijing, and spent our time there going around to the Forbidden City, Olympic stadium, Lama Temple, Confucian Temple and finish up the first part of the historic journey with the Temple of Heaven, Museum for Middle -Age Architecture, etc. Beside these, there was a meeting with the Chinese Organization for Disabled Persons. There were various interviews and a performance by an orchestra of disabled musicians (hearing and sight disadvantaged). This orchestra performed four pieces for Dona Rosa. They have, in their 30-year career, visited nearly 100 lands. There was excitement and a bit of exoticism as on one of the evenings Raul Abreu, Dona Rosa\’92s guitarrist, went for a foot massage in the neighborhood of our hotel. It was already 10 at night, but in China that is no problem. From 8AM to 11PM feet are massaged, scrubbed, and pampered; a well-deserved change for our tortured feet, which had marched through Beijing for days and covered literally miles. The exchange started with sign language, or broken english, or with a cell phone translator app. As the masseurs (exclusively men) found out Raul was a musician, a guitar was produced and he had to play several numbers – while they massaged him! the Chinese internet equivalent of Facebook – WeChat We feared these songs would become hits during the foot massage, a private concert at 11PM in Beijing. The parting was heartfelt, and there were still more pictures and films taken of the entire team. The central government of China has blocked Google, Facebook, and YouTube, so the people turn back to equivalent local media. On Thursday it was on to Wuhan, a 2-hour flight from Beijing, down South at the Yangtze River. Wuhan is a city of 8 million, which originated when three individual cities were amagamated. It is a city on the water which, again like all the others, is divided into groups of high rises, but has an ancient tradition, interrupted by cascades and lakes. It radiates a Southern flair, and life seems to be more relaxed. But here, too the old is being replaced by the new; old city neighborhoods being torn down to be substituted by skyscrapers. Zhongshan Park, in the area of our hotel, had once ranked among the most significant old parks in China, originally set out by a private owner. Mornings at 6, one finds old and young here doing Tai Chi or other physical exercizes. There was a lot of noise early mornings in the park. Disco music blaring against traditional sounds,Tai Chi against Aerobics. Traditional against the modern. That evening the concert took place in the Grand Theater, Wuhan\’92s new concert hall. An enormous complex with gleaming marble floors and an interior plastered with gaudy, gold decor; A legion of employees, most with nothing to do;Again; a stage as large as a football field. About 400 concertgoers. Perhaps the Grand Theater was not the best-suited for the music of Dona Rosa. And then once more we met emotionally-moved visitors who again wanted concert photos and autographs. We didn’t meet one China, but rather hundreds. A land that lives in it’s contrasts, like hardly any other on earth. Loud and soft, political and apolitical, chaos and feng shui, mainstream against high culture. It is far more than we euro-tourists can imagine. Friendliness rather than inconsideration; For us these extremes are barely graspable, and make China so fascinating. This was a journey for Dona Rosa to an unknown world, a world she learned to love. She was surprized by the people, and felt very well in the country, especially because so many concert-goers asked her back. There are plans to release her latest CD in China , perhaps also the photobook “Lisboa-Past and Present”. Everything seems possible. In China all western artists must start from scratch, building up a fan base, and Dona Rosa has done this. Reactions on the “Chinese Facebook” – WEBCHAT – show this also. 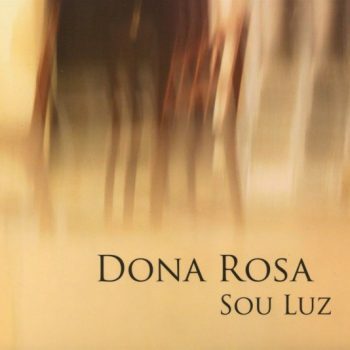 Dona Rosa will again be touring in Europe in November.